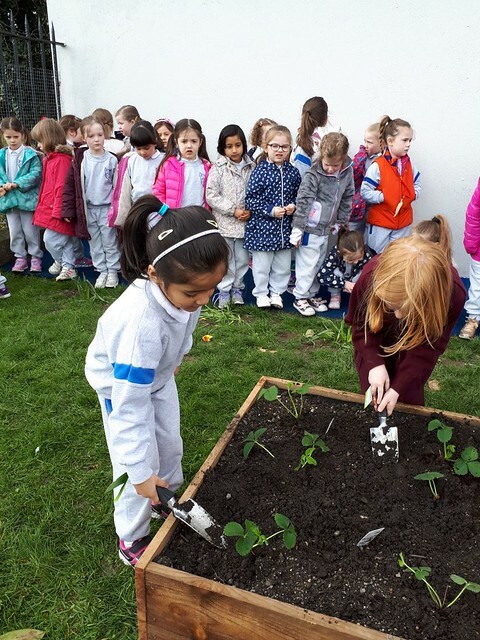 Our Junior Infant classes had lots of fun planting strawberries in a planter in our new school garden. The girls dug, planted and watered the plants. We look forward to watching them grow and tasting some delicious strawberries!